If you prefer watching videos on Vimeo, click HERE. Hope all of you are having a good start to 2012 and hope this year is filled with lots of sweet things for you. 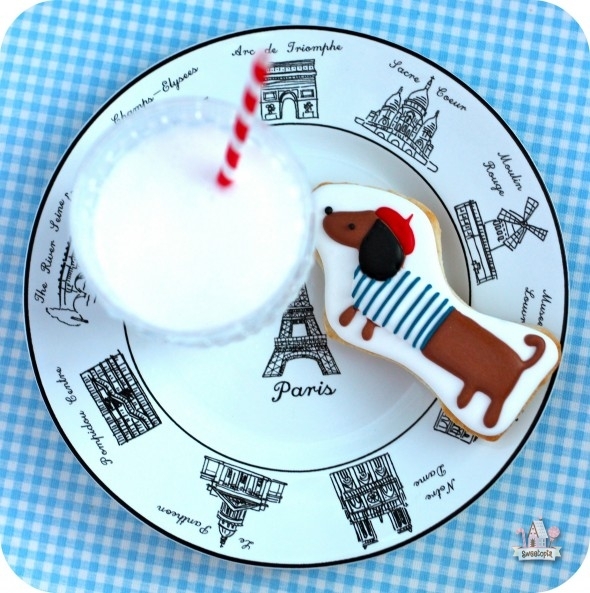 I’m excited to start my year with some fun cookie themes, like these Parisian ones here. 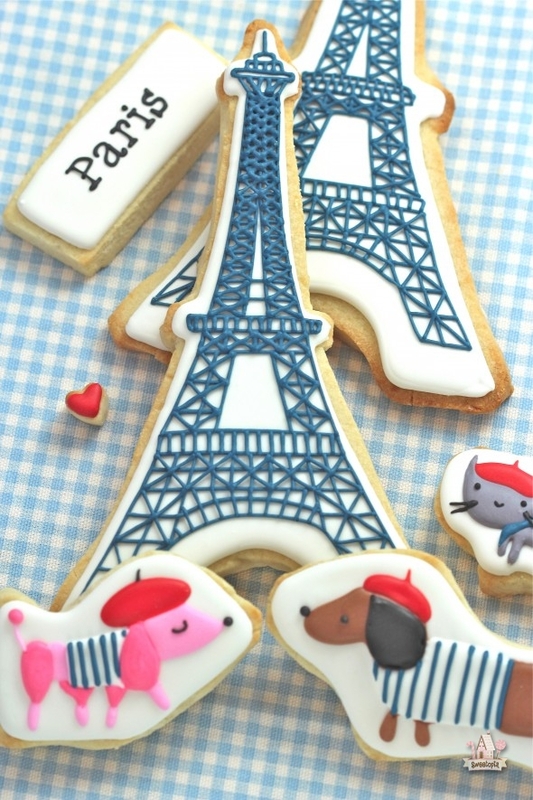 I’ll be doing a travelling series of Around the World decorated cookies, and I just happened to begin my journey with Paris, France. 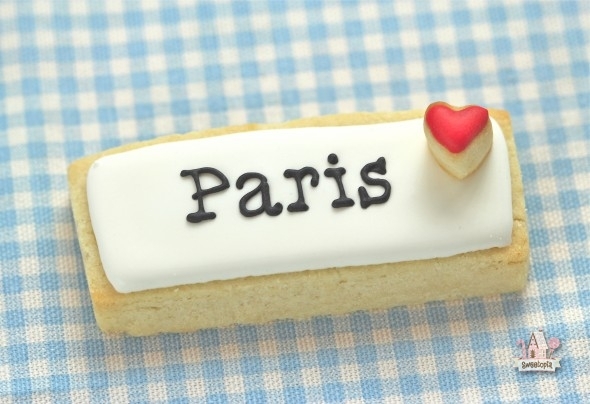 I knew when I found these paris design sticky notes by Jillian Phillips, I just had to make a cookie version. Thank you to Jillian and Lilla Rogers for allowing me to use her images! They were so fun to make, and really quite simple once you know a bit about piping royal icing. If you need some guidance, a good place to start is with my Cookie Decorating Tutorial, and two videos on Icing Consistency and How to Pipe Icing Lines. Something I didn’t mention in the video, is that the cookie shapes were made using templates I made, not cutters. I thought I had an Eiffel Tower cookie cutter and when I went to look in my (eep, hundreds of) cutters, I didn’t actually have one. 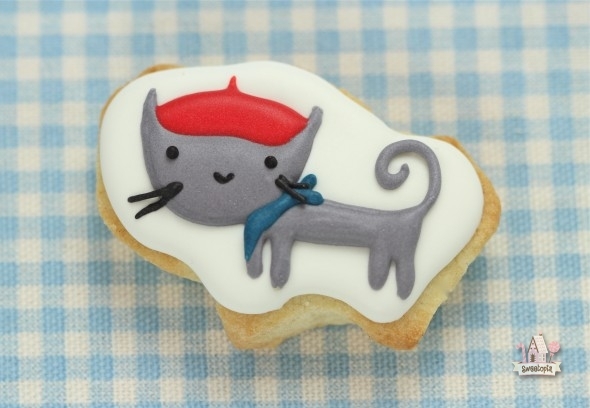 Either way, if you’re not making too many of these, cutting the cookies out with a template and paring knife, isn’t difficult, it just takes a bit longer than using a cutter. 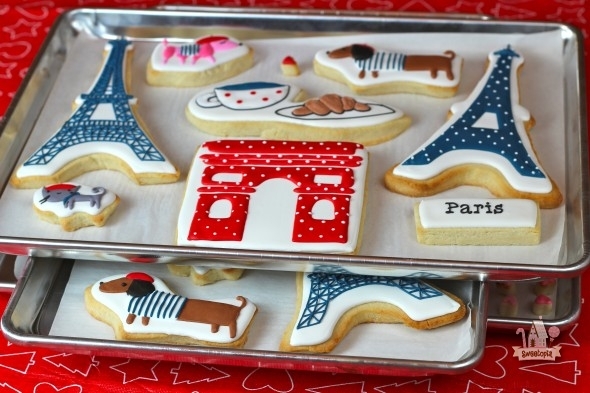 You can find an Eiffel Tower cookie cutter here , and for the other shapes you can be creative and use other cutters you already have. 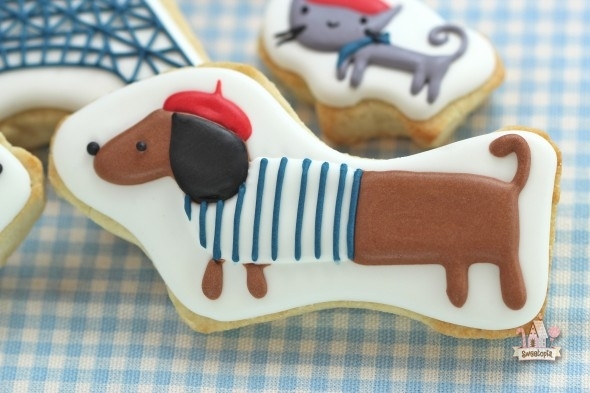 Take for example the dachshund, Cindy asked on facebook if it was from a stocking cookie cutter. It wasn’t, but it easily could have been. Thanks for the idea, Cindy! I’m thinking these would work as romantic Valentine cookies too, don’t you? Where in the world do you live? 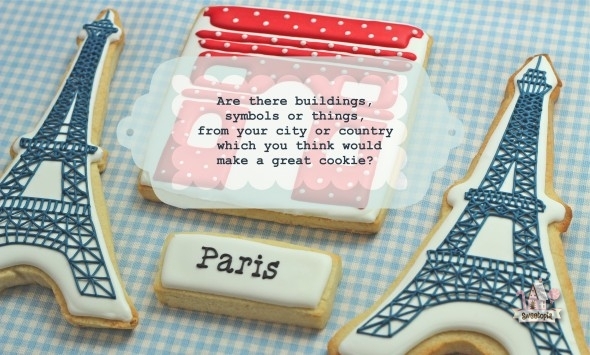 Are there buildings, things or symbols from your city or country which you think would make great cookies? Share your thoughts with me here in the comment section below, or you can share them on Facebook or twitter. I can’t wait to see where you’re from and which cookies you’d love to see! p.s. I’ve linked these cookies to TidyMom’s I’m Lovin’ It. Check out her page for lots of amazing and fun ideas! So love all your cookies! 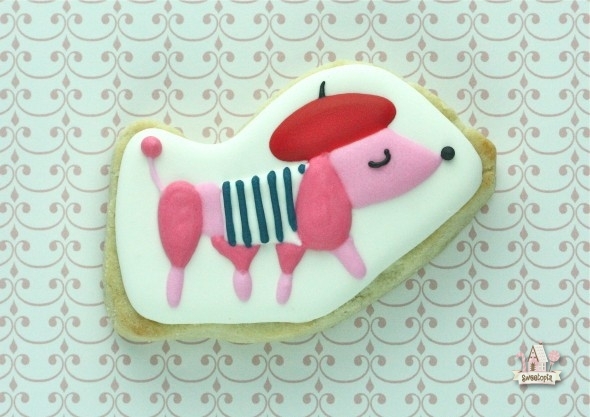 As a baker and a graphic designer I love the ability to create beautiful cookie designs. This is a silly question but what is the piece of music you used for the tutorial for drying cookies with royal icing. The French music is lovely and my daughter is a figure skater. Hi there, I am in awe if your talents and thank you for sharing so much of them with us. 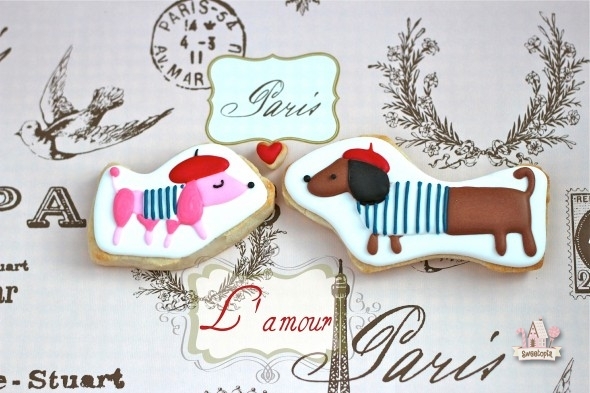 Since I don’t have a projector but want to make those Parisian dog and cat cookies somehow, could you tell me where I can find those images? Thank you! 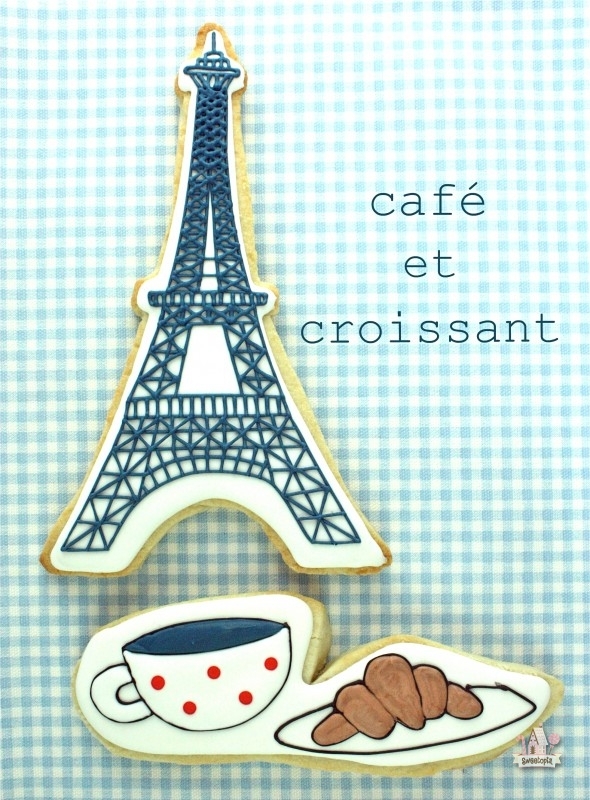 Hello Marian, Beautiful Cookies — C’est magnifique ! the song… Thank You — Enjoying all of what you create!! Thanks for Sharing!! 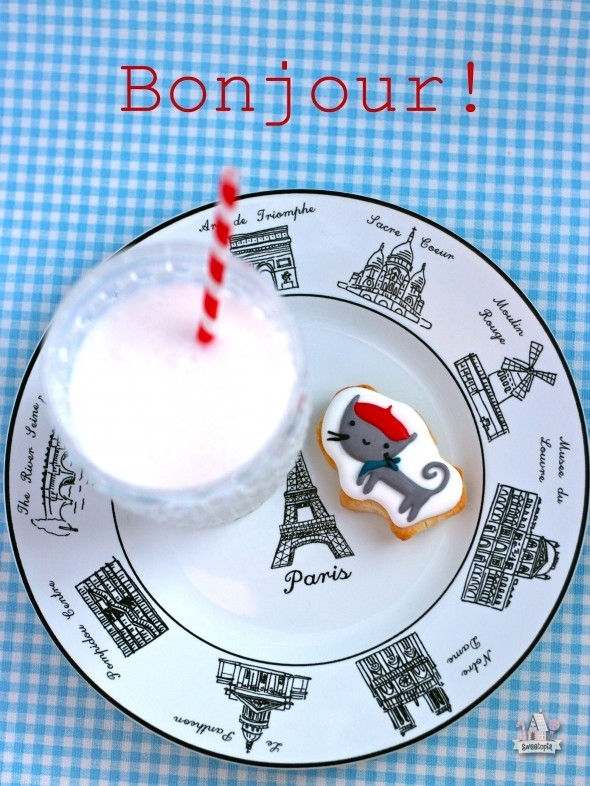 Which cookie cutters did you use for the dogs, cat and the coffee cup with the croissant? Do you think you could you share your eiffel tower template? 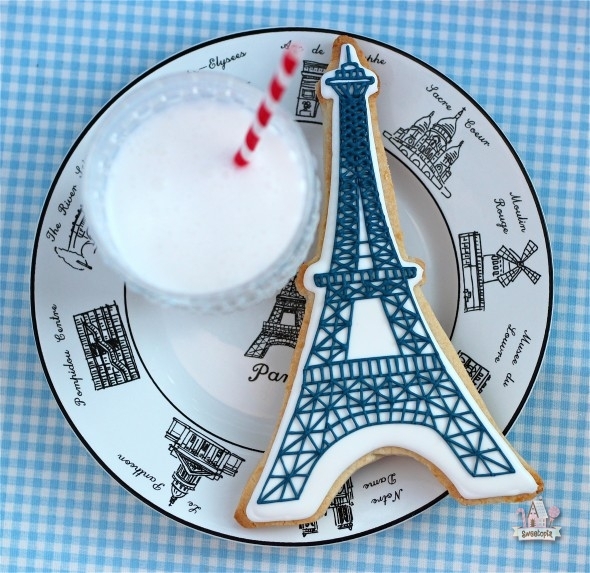 I just learned how to transfer images to an iced cookie using the tissue paper method and I would love to give it a try on eiffel tower cookies! I was wondering if you could share the Eiffel tower template you used. I just watched your video on drying cookies after they are decorated. What about before they are decorated? When I put cookies on a paper towel, I notice oil spots underneath. Should I let paper towels soak that up before decorating? Is that normal? Thanks. Your cookies are beautiful! I’m originally from Philadelphia and still feel warm and fuzzy over the history of the city and the food. Perhaps you will consider the Liberty Bell, Independence Hall, Betsy Ross’ 13 star flag and of course, a soft pretzel. I like the idea of trying the dog out with a stocking cookie cutter. Very imaginative! I made ghost cookies for Halloween one year and they were a huge hit. Have fun with your round the world cookies! Taj Mahal for India? Your the most talented person!! Beautiful work!! Thank you for this video. I only outlined with royal icing made with egg whites on my sugar cookie cutouts. Should they stay at room temp for that long too? Thank you for any help. Those don’t need to long to dry… I’d wait about 15 minutes to an hour for outlines, depending on how much of a hurry I’m in. 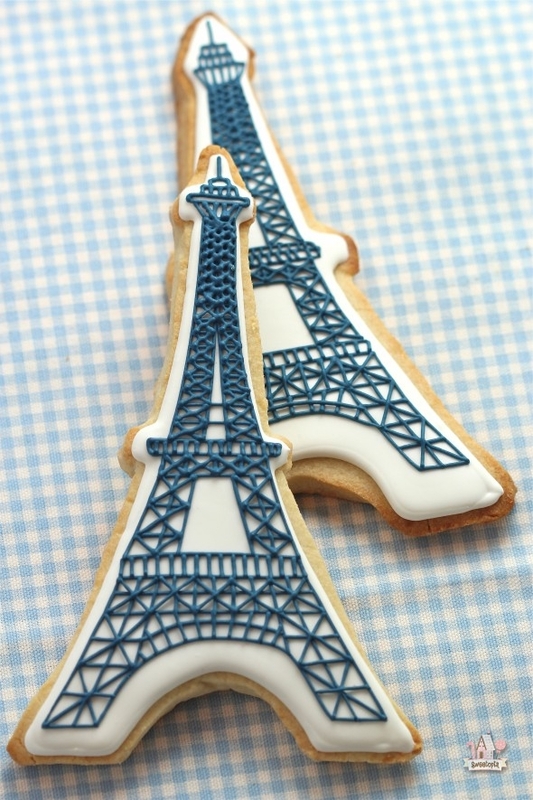 What size icing tip did you use to make the dark blue lines on the eiffel tower? 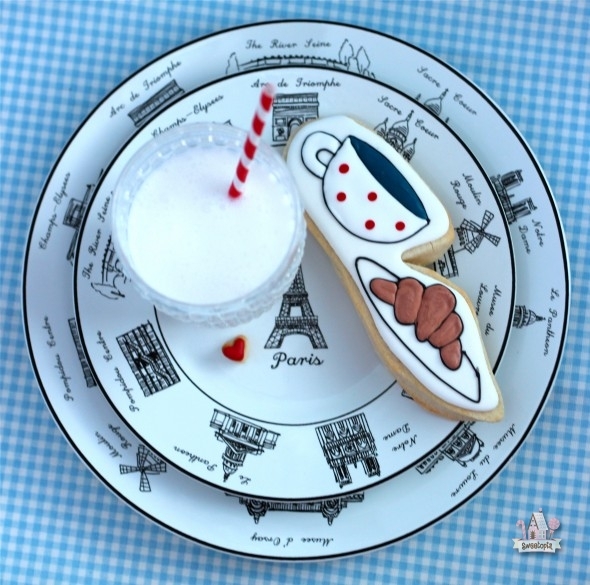 I noticed some sort of shadowy template for the Eiffel Tower – can you point me in the right direction to make the same *perfect* designs on the treats? THANK YOU! And you’re vid was awesome! It was an Eiffel tower sticker… It is STILL being sold at Michael’s! I can’t remember the brand off hand but check out the stickers at Michael’s Craft Store. I will go soon again to look at the brand. Let me know if you find them too please. So I went back to Michael’s and didn’t see it this time. I think it was the sticker brand Kate and Company though. I’m sorry this isn’t more helpful! I found it! It is by K & Company. It’s a 12 piece sticker pack … Happy Trails Paris Grand Adhesions Dimensional Stickers.